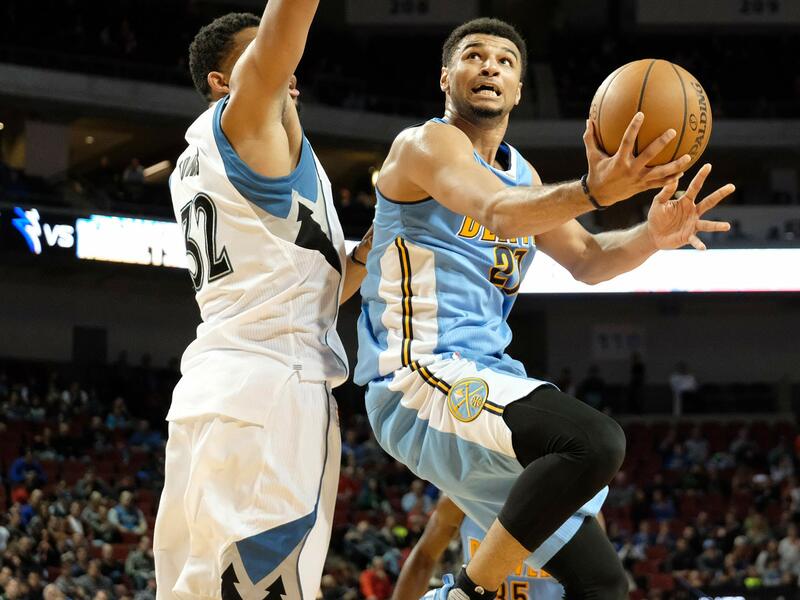 Will Jamal Murray Emerge As The Steal Of The 2016 Draft? After a staggering shooting slump to start his NBA career, Jamal Murray is making an impact with the Nuggets. Will the teenager go down as the best rookie from his 2016 class? The sound of missed three-pointers clanging off the rim still rattled inside Jamal Murray’s brain as his phone rang. An 0-for-8 performance against the Timberwolves on Nov. 3 stretched his career-opening 0-for streak to a staggering 16 field-goal attempts. The Nuggets rookie, a lethal sharpshooter during his lone season at Kentucky, couldn’t buy a bucket even if the state of Colorado legalized it. Nuggets veteran point guard Jameer Nelson walked Murray through specific elements of Denver’s system after practice. Veteran sniper Mike Miller whispered advice that helped place the rookie’s slump into perspective—all while observing the fragility of a 19-year-old’s headspace. “You don’t want to overdo it with him,” Miller explained. Murray shot 4-of-10 in Denver’s next outing and 10 days later, drained five three-pointers en route to 19 points. Denver needs Murray to uncork his array of scoring tricks, an arsenal of jumpers and floaters he’s fine tuned over hours in the gym with his father. Roger Murray has spent several long nights with his son at the Nuggets’ facilities this season, traveling back and forth from the family’s home in Ontario to check in on his star pupil. “We go through a lot of stuff together on the court and different shots we want to take and different reads, like using the glass yesterday and pull-ups, stuff like that,” Murray said. Drilling different looks has become a necessity for Murray this season. While earning his reputation as one of the nation’s most potent deep threats, Murray spent 22.7% of his possessions at Kentucky isolating off the dribble or as a pick-and-roll ball handler, according to Synergy Sports. And although Murray says he views himself as a scoring point guard, the Nuggets, for now, need the rookie to primarily play off the ball, stationed as a weakside shooter, stretching opposing defenses for Emmanuel Mudiay to work high ball screens with Jusuf Nurkic and Nikola Jokic. Murray managed to strike that balance with Tyler Ulis at Kentucky, and only one-third of his attempts this season have come off catch-and-shoot opportunities, per NBA.com’s tracking data. He’s learning when and where to attack closeouts and break down defenses with his handle from the wing. “If you come into the league and the best thing you can do is catch and shoot, the league’s not going to let you catch and shoot. You’re going to be uncomfortable,” Calipari said. Murray's expedited maturation process also needs to be kept in perspective. As a teenager, Murray is playing 22.3 minutes per game, tasked with attempting to lead Denver’s bench unit in scoring. “He's got more in common with my son,” the 36-year-old Miller said. The last several months have been nothing but a whirlwind for the 19-year-old: a crushing NCAA tournament loss to Indiana, falling to No. 7 on draft night, a horrific season-opening shooting slump, and trying to find his niche with the Nuggets. Yet somehow, Murray has emerged as arguably the league's premier 2016 draftee to date. Amid the mayhem, Murray and fellow Nuggets rookie Malik Beasley have frequented Red Rocks Park. A 25-minute drive west of Denver, the 868-acre property lies where the Great Plains roll into the Rocky Mountains, complete with winding hiking trails and wondrous vistas. “We go out there just to reminisce on we’re 20 years old, making millions of dollars and playing the game we love,” Beasley said. “What could be bad?” Sometimes it just takes the first bucket to fall.